They are looking to source some oats from suppliers who follow a purity protocol. Note: I offered to help facilitate this process by reaching out to my contacts that supply pure oats to manufacturers. General Mills accepted this offer. Three suppliers were contacted this morning. They will be sourcing a large percentage of oats from farmers who do not grow barley or have not grown barley in the past few years. They will be testing more individual boxes of Cheerios. All of the above is great news and will lead to a safer product in my opinion. The less barley in the oats to begin with, the less barley there will be in the final product. They will continue to use lot means based on testing a composite sample comprised of 12 to 18 boxes to help determine the safety of final product Cheerios. General Mills pulls 12 to 18 boxes during a 24 hour production cycle, grinds the contents of each box, takes a sample from the contents of each box, mixes all the samples together and regrinds, tests 12 sub-samples, and averages the results to provide a lot mean. Why this bothers me: When I visited General Mills I was shown extraction values for some of the lots of yellow box Cheerios produced during the gluten-free validation phase (these Cheerios did NOT go into boxes labeled gluten-free). One extraction from one of the lots was above 90 parts per million of gluten. Because the other extraction values were so low, the lot mean was somewhere in the range of 10 to 13 ppm gluten. In my opinion if test results on a composite sample include values at or above 20 ppm gluten the reason for this should be explored via additional testing. A high test result should not be discounted because the lot mean is below 20 ppm gluten. General Mills will continue to use values that fall below the lower limit of quantification for the R7002 assay (i.e., 10 ppm gluten) to determine lot means. Why this bothers me: Values below the lower limit of quantification are not necessarily accurate. As a result lot means based on values below the LLOQ are not necessarily accurate. In my opinion, General Mills should switch to the R7001 assay that has a lower limit of quantification of 5 ppm. This would help facilitate accuracy of the lot means. Gluten Free Watchdog Position Statement on Cheerios: Based on the totality of information provided to GFWD, it is our position at this time that individuals with celiac disease should not eat gluten-free Cheerios. Before Gluten Free Watchdog can feel comfortable with this product, General Mills must take steps to ensure that Cheerios are not contaminated with barley (apparently the most problematic grain when it comes to mechanically “cleaning” oats). General Mills must demonstrate via repeated testing of individual boxes of Cheerios using the Ridascreen Gliadin R7001 assay that boxes of Cheerios consistently and reliably test below 20 parts per million of gluten. I will continue to update the gluten-free community. Gluten Free Watchdog is in the process of purchasing Yellow Box Gluten-Free Cheerios for testing. I recently traveled to General Mills to meet with the people responsible for bringing gluten-free Cheerios to market (Note: General Mills covered most of my travel-related expenses). Cheerios labeled gluten-free will be arriving on supermarket shelves soon (identifiable by the gluten-free statement in the lower right hand corner of the box). The information provided below is based on my visit to General Mills and the testing data shared with me by the company. When gluten-free Cheerios are available, Gluten Free Watchdog will be testing the “yellow box” variety. Once our testing is complete, another statement will be released. Gluten Free Watchdog continues to support the use of gluten-free oats by the celiac disease community that are produced under a gluten-free purity protocol*. The oats used in gluten-free Cheerios are not currently grown under a purity protocol; they are “cleaned” via mechanical sorting. At this time we do not in general support the use of regular commodity oats that are cleaned via mechanical and/or optical sorting to be “gluten-free” after arriving at the mill. *There are differences in protocols followed by various suppliers of gluten-free oats but they all begin with pure oat seed. 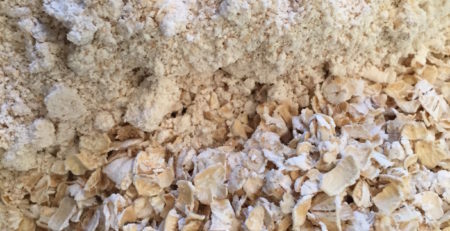 Please see the end of this post for a few of the protocols used to produce gluten-free oats. Lot means: According to General Mills lot means for Yellow Box Cheerios (finished product) are between 10 and 13 parts per million of gluten. Extraction values: Results from randomly pulled data sheets were shared with me. The vast majority of extractions from these data sheets were under 20 parts per million (many were below the lower limit of quantification of 10 parts per million); some extractions were above 20 parts per million (one substantially above). This is new-to-me information from General Mills. At the time of my visit, I was under the impression that the data being shared was for boxes of Cheerios labeled gluten-free. In my opinion some of the test results indicate a potential problem (e.g., some extraction values from some lots are above 20 parts per million of gluten). Despite the efforts to mechanically “clean” the oats and the checks and balances in place to make sure wheat and barley have been effectively removed (including manual checking of random draws of oats) some gluten (likely from barley) is ending up in Cheerios. Based on extraction values shared with me I am not fully confident that every box of Yellow Box Cheerios from the 88 lots produced at the time of my visit to General Mills contains a level of gluten less than 20 parts per million. Why am I not fully confident? Based on the information shared with me, General Mills is testing final product Cheerios via a mixture of samples taken from 12 to 18 boxes. Any contamination in a composite sample is likely diluted. In other words, IF 11 boxes contain well below 20 parts per million of gluten and only 1 box contains above 20 parts per million of gluten, combining the boxes will cause the contamination from the one box to be “diluted.” It also is impossible to know the source box(s) of contamination. Dilution can be explained as follows: Say we have 11 glasses of fresh water and 1 glass of salt water. If we sample the salt level of each individual glass of water the level of salt in the glasses of fresh water will be relatively low; the level of salt in the salt water will be relatively high. If we mix all 12 glasses together in a pitcher and measure a sample, the level of salt will be much lower than the glass containing only salt water. While the salt level in a glass of water taken from the pitcher may be acceptable in terms of salt content this does not necessarily suggest that the salt level in all 12 glasses of water is acceptable. You would not want to be the unlucky person choosing the glass of salt water. In email correspondence I asked General Mills if they were basing their decision on the safety of a “lot” of boxed Cheerios on the lot mean or whether individual extractions above 20 parts per million of gluten raised alarm bells. According to General Mills, their lab (Medallion Labs) is using the Ridascreen Fast Gliadin R7002 with cocktail extraction to test for gluten levels in finished product Cheerios. Note: The R7002 assay is not the same assay as the fully validated Ridascreen Gliadin R7001 used by Gluten Free Watchdog. There are several important differences between the R7002 and R7001 assays, including the lower limit of quantification (i.e., the lowest level at which the assay can accurately place a number on the level of gluten). The LLOQ for the R7002 is 10 parts per million of gluten; the LLOQ for the R7001 is 5 parts per million of gluten. Medallion Labs is reporting precise extraction values when they fall below the LLOQ versus the typical reporting practice of “less than 10 ppm.” Reported values below the LLOQ are not necessarily accurate. While these results are for internal purposes only they are being used to determine a lot mean. In addition, the R7002 has a 30-minute incubation period compared to the R7001 incubation period of 90 minutes. According to what I’ve been told by the lab used by Gluten Free Watchdog, when the incubation period of an assay decreases, the variability in findings may increase. © Copyright July, 22 2015 by Tricia Thompson, MS, RD for Gluten Free Watchdog. All Rights Reserved. 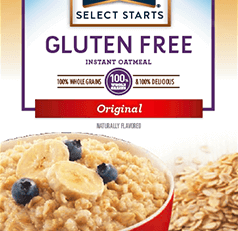 Farm certified gluten-free oats should be available by October. Please read about the protocol HERE. Thank you for doing so much research on this Tricia. It is a difficult issue for most people to understand and you are doing an excellent job of explaining the technical details. Thank you so much, Sue for your kind words. Truly appreciated. Thank you Tricia! Unfortunately I found your post too late and ate a large bowl of the yellow-box “Gluten Free” Cheerios. Yep – I have been suffering for several hours and decided to check the web, since this cereal was the only new thing that I added to my diet. It is disheartening to not be able to trust a Gluten Free label. I am very grateful for you and your diligence. Sorry to hear this Gail. Please contact FDA’s MedWatch (phone 800-332-1088. Choose option #4 to speak with a representative). This is truly important to do as it helps to establish a pattern of illness reports not related to the boxes involved in the recall. Oh God I wish I had read this before I ate a bowl of this tainted trash. I’ve been sick all morning. 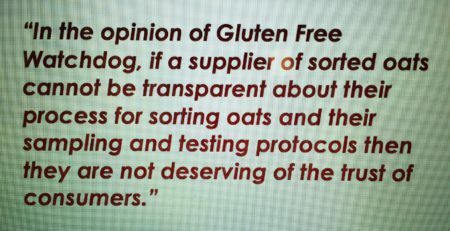 I’m now a fan of glutenfreewatchdog.org. !! So glad you’re here. Like another reader I made the mistake of just trusting cheerios before I found your article. I was sick for literal weeks never dreaming the culprit was my ‘clean’ cheerios. Sickening they just put gluten free on the label with no repercussions. Bless your work! Charlotte, did you contact FDA and General Mills? This is really important to do. The FDA keeps track of illness reports from consumers. No I didn’t. Is it too late since it’s been a long time? You are most welcome, Al. First, of all thank you so much for all the work you have invested for the benefit of the celiac community and those with medically diagnosed gluten sensitivity. At the end of the day, your research further confirms the need for manufacturers to undergo a preventative approach to managing gluten from strict verification around approving suppliers and supply ingredients, to employee training, identifying all risks, implementing and documenting a risk based HACCP approach, whereby they can demonstrate they have actually conducted a risk-assessment to a third-party and of course validation of all their gluten management systems, including testing regimes throughout the process. If a batch tests above 20 ppm what will GM do with the batch of Cheerios? Also, I’ve worked in a lab for several years, longer incubation time doesn’t equate to more accurate results…. In fact it can cause drastically wrong results. All lab tests have a specific window for incubation and reading information outside that window your test results should be considered not just inaccurate but wrong. My son and I both have CD and I’m watching the Cheerios situation closely as I would love to be able to eat them again and give them to my son for the first time… That said I won’t unless I’m confident we won’t get sick. This a major cooperation drastically increasing there costs to bring us Cheerios at the same price as always and they don’t HAVE to do any of that. Testing to under 20 ppm is all they really need to do and if they can use a cheaper quicker test for that that gets the job done, awesome and thank you for not jacking up your price. Hi Lauren, You will have to ask General Mills directly regarding your question about batches and test results. Regarding incubation times, we are talking about differences between the fully validated assay (R7001) versus the faster version of the test (R7002). The assays have different incubation times (90 minutes versus 30 minutes). We are not talking about increasing the incubation time of the R7002 to match the R7001. Using the R7001 may decrease the variability that General Mills is seeing with some of their results. In response to Lauren’s point, a lot is a 24 hour production batch. I don’t have any information on what they would do, but I cannot see GM throwing away 24 hours of production if one sample is bad. As I understand it, they also aren’t continuing to produce a “possible contamination” package with appropriate labeling. What does this mean? It seems logically to lead to the idea that some boxes of GF cheerios will not be GF, and you just have to accept that. As a parent of 2 Celiac kids, this keeps cheerios off our menu. I suppose they could possibly label lots with a sticker or something that says it failed the test, but this seems unlikely given the PR around this. Tricia’s point about the blending of 12 boxes not being as accurate as testing each box is a very good one. A question I have is: obviously oats don’t come in little donut shapes, so clearly they must blend the ingredients to some degree before creating. How much is already blended before they bake and box the product? Is it possible that a blended sample of boxes is quite accurate because the day’s product is already blended (and therefore any gluten contamination would be evenly spread) before creation? I would think that would also minimize the possibility of gluten contamination as well. Hi Steven, It is reasonable to think that any gluten contamination in Cheerios would be fairly homogeneous (well blended; evenly distributed) but based on the extraction values for some of the lots this does not appear to be the case for every lot of yellow box Cheerios produced during General Mills’ validation period. Wow, great work, thank you! Can you tell me anything about Kelogg’s Gluten free Rice Krispies as well? Trudy, From what I understand Kellogg’s Gluten-Free Rice Krispies have been discontinued. It is great there are people like you to look out for us! Thank you!!!! No one can know how it feels to get sick and lay there in pain.. And suffer for days or a week from gluten. You are most welcome, Dar. Thanks so much for taking the time to comment. As a 73 year old male only 3 years into a CD diagnosis I have discovered that I am HIGHLY sensitive to minute quantities of gluten. My gastro physician told me after checking my intestine that on a scale of 1-10 I am an 11. Your continuing efforts are very important to our family. Thanks for what you do. No Cheerios for this guy. Thanks for commenting, Bill. It is so good to know that you found the report useful. Your support of GFWD is very much appreciated. We are always so excited when we hear something new is going to hit the shelves that is GF. Thank you so much for doing your research on this! I tried gluten free Cheerios this past weekend and actually found myself sick for about 3 days. I have been following a very strict gluten diet for 8 years now after being diagnosed with Celiac Disease so i’m super sensitive. I’m glad that I wasn’t going crazy thinking there may have been traces of gluten in the cheerios! Thank you! Thank you for sharing, Kayla. I am sorry to hear that you were sick. Please contact General Mills to share your experience and any concerns. 1-800-248-7310. You can also email Cheerios through this link http://www.cheerios.com/contact. It is very hard to remove barley from oats. 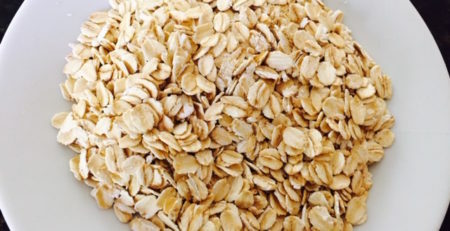 They are very similar to oats and roughly the same density. Wheat is dense and can be easily removed. The problem general mills has is their suppliers. Oats can come in with ridiculously high amounts of barely whether intentional or not, and are always a surprise when they come. Spikes of barley like to come in clumps and when sampled are hard to detect accurately. As someone that hand graded oats myself at general mills I know this to be true. Finding a barley takes skill and I didn’t get good at it for months. Due to poor communication and the menial task of actually hand sorting oats people get filtered in and out of the position. I would not be surprised how many barleys get unchecked because lack of caring or laziness. Individual hand graders haven’t been told how well they are finding barley’s since march as well. Tricia asked me about hand graders being checked by a mechanical process. The mechanical process is rarely operational. When it was working for us to use, It still had bugs. On one specific machine there was an interface you had to bypass to even get it to work, which they knew about for months and did nothing about. There are a lot more things I can’t say because of confidentiality disclosers and please excuse my vagueness when I couldn’t speak my mind. Wow… Thanks for the additional info! Al, can you please get the word out as much as possible about the comments we are seeing on this news post. Thank you! I’ve shared this post many times. Will direct people to comment section. Wow! Thanks for your information Travis! I was so excited about Cheerios coming out for me and my 2 Celiac daughters. Unfortunately we won’t be able to eat them since I just won’t take a chance after all this information came out! Thank you Tricia for all your hard work! Truly appreciated!! Hi, I read about this post on Gluten Dude’s blog. Thank you for your contributions! I agree with your comments about the way they are mixing up product to do the gluten content analysis. I didn’t even get through reading that full 7-step process before it raised my eyebrows. It’s almost as if they’re trying to mechanically average away any gluten signal that could be emerging from the noise. The test would be fine if all that mattered were the long-run average (and assuming the ppm values it gives are accurate). But in this case there’s more to it than just that. I think the testing should be done (possibly among other ways that could yield useful data) on samples that mimic the way the cereal is eaten. I was also wondering, doesn’t GM machine the raw (cleaned) oats into flour as one of the steps in making the cereal? Does this flour get tested for gluten content before it gets made into cereal? If the flour is already failing then they shouldn’t be making cereal from it (and could probably re-purpose it for something else in their vast array of non-GF products). On the other hand if it’s fine then this means the cleaning process is working and the cereal is getting contamination from elsewhere, so the flour quality would be a useful thing to know. The long-run average would be an important part of this picture. Hi John, My apologies for the delay in commenting on your post. I have been out of the country. General Mills considers the oat flour used in gluten-free Cheerios to be “validated gluten-free flour.” They stated to me in email correspondence that, “Our gluten-free oat flour levels generally range from 8-12 ppm of gluten.” BUT providing a general range is not the same as providing the actual numbers. Also, General Mills did not provide me with any extraction values for flour. Because the mean part per million values are lower for the varieties of cereal containing less oat flour it is likely that the contamination is coming from the oat flour. It also is important to stress that any mean part per million values less than 10 are not valid as the lower limit of quantification for the assay used by General Mills for this testing is 10 parts per million. Numbers below this level are not necessarily accurate. Hi Miriam, I am sorry to hear that your daughter became ill. Please contact General Mills, an FDA Consumer Complaint Coordinator, and your daughter’s gastroenterologist. Contact information for General Mills and FDA is provided in an earlier comment. I bought the honey but Cheerios. I experience a lot of bloating after eating them. I won’t buy them again. I’m sure I’m getting cross contamination. If you have Celiac disease, be very cautious. My one daughter has Celiac Disease and my other two we think may, but have not been tested and don’t present other than bad tummy aches after a Glutinous meal (which they have not had in over a year.) My daughter who does in fact have Celiac disease presents first with a terrible rash (Herpetiformis Dermatitis-celiac of the skin) therefore we know within about 10-12 hours after contamination if she has been glutened for sure! When the Honey Nut GF Cheerios came out at my local grocer, I snatched up right away. I came home, served up a bowl to each kiddo, and waited. No reactions from any of them. Watched the Celiac daughter for 24 hours closely looking for the slightest rash/redness and nothing. Am I still concerned? Yes. What if it is sooooo little but not detectable by symptoms externally, even internally? Meaning, not even a stomach ache, slight? But what if it is causing inflammation internally that can not be seen/felt? What if it causes a little emotional or physical unrest that is not truly detectable? Scary. I am not sure what to do. They definitely do not NEED to eat cereal. What is your take on Rice Chex/Corn Chex? Can Cheerios learn something from them??? Hi Amanda, the Chex cereals are also made by General Mills. The issue with Cheerios is that they are made from oats which are known to be contaminated with wheat and barley. This is why the recommendation for years has been to eat only those oats grown under a purity protocol–meaning that steps are taken to prevent gluten contamination. General Mills is “cleaning” regular oats via mechanical sorting once they arrive at the mill. Whether or not your family eats Cheerios is a decision you have to make. Based on information provided by General Mills the varieties of Cheerios with lower amounts of oat flour have lower lot means of gluten as compared to Yellow Box Cheerios. General Mills and I have a call scheduled for tomorrow and they will be providing updates on the steps they are taking to address the concerns of the community. I will provide an update after this call. There are 8 dogs world wide imprinted to detect gluten. Six of the dogs have checked them, Four of the dogs passed them with no sign of illness, Two of the dogs indicated. One of the two did not indicate on a small bowl of the Cheerios and the handler ate them with no effect. The next day she had two bowls and started feeling ill. She then had the dog check the entire bad of the remaining cheerios and the dog indicated. We will continue working with the dogs and having them check more boxes. You can follow 5 of them on FB. Especially since we are talking about processed cereal. Having worked with small grain research I was familiar with the potential for field level cross contamination. With this background, I was suspicious from the get-go of their “mechanical separation”. I have seen first hand how grains are left behind in harvesting equipment and grain bins, as well as the “flour” and dust. There is no way this gluten filled dust can be filtered away. Knowing all that, I was still excited to find the GF labeled Cheerios on the shelf and thus purchased a box for my children (I can’t eat oats so I wasn’t going to try them anyway). I started seeing differences in their behavior after just two days of eating the cereal. I have now gone back and read all these blog posts about Cheerios and I’m kicking myself for getting so excited over a new “gluten free” product and overriding my abundance of caution. I will not be buying any more. Interesting. Thank you. I would have never thought. My celiac daughter had GF honey nut Cheerios for two days until we realized they were bothering her. She experienced diarrhea, bloating and gas. She had not eaten away from home or had any other processed foods during this time. I feel very sure the Cheerios were the culprit. Very disappointing! 1. Did GM give you any sense of timelines in terms of when they will be able to implement the increased amount of purity-protocol-sourced oats? 2. How on earth can GM continue to think that lot mean sampling is an acceptable way to test the safety of their product?? As you point out, the dilution effect of mixing several boxes’ worth of samples means that you could have a lot mean below 20ppm, but a single box could easily be over 20ppm. How can they possibly achieve GF certification that way?? Why would they expose themselves to that kind of legal risk, if a celiac finds a box that they independently test and find to be above 20ppm? 3. Right now, GFWD’s stance is that gluten-free Cheerios are not currently safe to eat. I concur, based on what you’ve presented. Given what you heard about GM’s plans, do you anticipate that it will be possible for GM to manufacture gluten-free Cheerios in such a way that you might at some point be able to reverse your stance? 1. The increased used of oats grown on farms that do not grow barley or have not grown barley in the past few years will begin during the next growing season. It is my understanding that they are exploring the possibility of using oats grown under a purity protocol. I have contacted three suppliers this morning and asked them to get in touch with General Mills. The issue of course is whether there are enough pure oats to meet the needs of General Mills. 2. You will have to ask General Mills directly about this practice. General Mills and I do not see eye to eye on their protocol. 3. At this time, it is the position of GFWD that individuals with celiac disease should not eat gluten-free Cheerios for all of the reasons outlined in my various posts. If they are addressed then yes,the position of GFWD will change. At this point it is truly up to the gluten-free community to contact General Mills directly to voice any concerns. If you (or anyone else) wishes to contact General Mills please email me and I will provide you with the appropriate email addresses. Thanks for your comments, Tricia. I would certainly welcome it if you could provide me with contact information at GM; I’ll be happy to share my concerns with them. Regarding my third question, let me rephrase it: Based on what you heard of GM’s plans, if they were to follow through successfully on everything they told you they were going to do, do you think those measures would likely result in a product that WAS safe for celiacs to eat? I understand of course that everything would need to be tested; I’m just asking your professional opinion on whether you think the steps they’re planning should, in theory, result in a safe product, rather than the unsafe product that is currently out there. My answer is “it depends.” IF General Mills sources all of their oats from a combination of suppliers who follow a purity protocol and farmers who do not grow barley then yes, I think the product will be fine for individuals with celiac disease assuming the product is sufficiently tested. If General Mills continues to source oats from farmers who grow barley and they do not make changes to their testing protocols then I will continue to have concerns. That’s very fair. Thank you for your replies and information, it’s enormously helpful and appreciated! You are most welcome, Dave. I was pretty excited to eat Cheerios for the first time in seven or eight years. I was checking the supermarket every week to see if the Cheerios were gluten free yet, and bought a box as soon as I saw the little logo. I feel … gassy. No diarrhea or bleeding (yet, knock on wood), but extremely gassy. I had one bowl yesterday and one bowl this morning. I generally do not feel like this, even with gluten free oats, so I know something is up. I don’t want to blame the Cheerios–I want to belieeeeeve!–but I’m going to continue to monitor the situation. Of course, I’ve also been consuming more milk than usual as well. I’m generally not lactose intolerant, but this may be a deadly combination (at least if you’re downwind). I have Celiac as of January and have been having problems. Can’t blame all on Cheerios but would like to know what the outcome of the problem is. Please notify me. Pat, You can subscribe to the news feed via email or check back frequently for updates. Thank you ever so much for doing your investigation on Cheerios. My husband is 71yrs. old and was recently diagnosed with Celiac Disease. As most people, I know he had it for several years before we found the right doctor that knew what was wrong. He has been following his diet perfectly. When we heard about Cheerios he was so happy, this was always his favorite cereal. The last couple of weeks he has been eating it a few times a week. All though he hasn’t gotten sick from it at all, he is no longer going to eat them thanks to your article on Cheerios. Celiac Disease is not to be taken for granted. Once you know you have it, it is a miracle to know that all you have to do to stay well is eat the right foods. We try our best, when the label says gluten free, we should be able to trust that product to be gluten free. I am so disappointed in General Mills. I hope they see what they are doing to people and change their policies. There are a lot of people out there who love their product, they are misleading them and causing them to be sick. There is no excuse for this. So for all the people that have Celiac Disease and love Cheerios, I say “DON’T EAT THEM!” Your life and health are far more important. Keep reading on updates, maybe one day Cheerios will get it right. We eat the Rice Chex cereals and they are just as delicious. Do what ever it takes to stay healthy. Good luck. I had my first bowl of GLUTEN FREE Cheerios ( 1 bowl of regular and about 2 handfuls of Honey Nut) since I haven’t been able to eat gluten (2008.) My stomach is killing me on the right side and I can’t stop belching. This is the same reaction I had when I went to the DR complaining that “fiber makes my stomach hurt and me vomit.” That’s when the doctor said, GLUTEN. I purchased them for Target last night. It can’t be anything else. BTW, I haven’t had any kind of milk in over 30 years. I’ll be sending my story to CS. Dai, Please save the boxes and contact your gastroenterologist, General Mills, and FDA. I hope you are feeling better soon. So, this is dangerous for me due to literal wheat AND gluten allergy along with celiacs. Does the packaging carry a cross contamination processed on equipment sorting wheat, barley ect on the box. They could literally KILL me. I have also been noting many uneducated or non caring companies placing labels saying Naturally Gluten Free, and then stating they are processed on wheat equipment OR like Oats, which those of us with competent medical care are told about the possibility of other gluten containing plants in with them. The trend to eat like this as a fad I fear will cause me to have anaphylaxis. These companies need to know its as dangerous for some as is pnut contamination and needs to be listed. Hi Elisa, Boxes of gluten-free labeled Cheerios do not contain an allergen advisory statement for wheat. Ive seen the commercials with “Phil” and I’m skeptical. My 21 year old GF daughter was been GF since she was in preschool. In the old days, aside from the purity/contamination issues, I thought they added wheat gluten to the cheerio ingredients. My kid was taught to read labels early on and had to show camp counselors that although it was an oat cereal it had added gluten. That’s why we always bought the trader joes cereal, it had no added gluten. Am I nuts or in the last 20 years before GF became a high growth category, did they I fact add gluten? Hi Saffron, You are not “nuts.” Wheat starch used to be listed as an ingredient in Cheerios. My husband brought Gluten Free Honey Nut Cheerios home from the grocery store yesterday. I was so thrilled to see they were gluten free. I had about a cup of the new Cheerios with milk for breakfast and boy did I get sick!! I instantly knew they weren’t gluten free. I should have read this article first! Shame on General Mills! Hi Ellen, I am sorry to hear that you got sick. FDA is asking that individuals with celiac disease and NCGS who believe they got sick from Cheerios to contact FDA’s MEDWATCH, the Adverse Event Reporting System. You can do this online https://www.accessdata.fda.gov/scripts/medwatch/index.cfm?action=reporting.home or via phone (800) 332-1088. Choose option #4 to speak to a representative. Thank you for all your research. IF YOU HAVE CELIAC DISEASE DO NOT EAT GGLUTEN-FREE CHEERIOS. THEY WILL MAKE YOU SICK. Hi Tricia, Two of my daughters have celiac disease. My 10 year old had what I considered an anxiety attack several weeks ago, I think it may have been the night after she first had the GF Cheerios at a friend’s house. A week or two later, we bought them and she has been having them regularly. Coincidentally, she has started complaining of feeling anxious and having stomach aches. After reading this, we will discontinue them immediately regardless of whether there is a connection. I know there is an association between CD and anxiety, but is there evidence that gluten exposure can contribute to anxiety in an otherwise healthy kid that has been gluten free for over a year (her tTg IgA went from >100 to 3 at her 1 year follow up). Do you feel this warrants a report to FDA? Hi Stefanie, Is anxiety a typical response when your daughter is accidentally exposed to gluten? If not, could she be feeling anxious because she isn’t feeling well (stomach aches)? Regardless, it is important to let FDA know what your daughter has been experiencing since introducing Cheerios especially if these symptoms subside with the removal of the cereal. Please call MedWatch. I hope she is feeling better. Thanks for your reply. I’m may be reaching a bit with the anxiety that seems to have developed. We will watch for her GI symptoms to resolve and will report to MedWatch. It is actually reassuring to see that the tests you did on three boxes were in the acceptable range, but will wait on the GF Cheerios until there is a better process in place . Thanks! I wanted to let you know that in my case, anxiety, depression and debilitating brain fog are the symptoms experienced when I’ve eaten gluten. It lasts for 2-3 days. It is very possible that your daughter experiences anxiety when she’s been glutened and it’s great that you know that. Hi Jane, A very small percentage of people with celiac disease have an immune response to oats. It is important for them to report reactions to oats especially if they develop symptoms after trying oats for the first time. We were very hesitant to have our daughter try the gluten free cherrios. Well we tried them last Friday and she had a major exposure. I called general mills this morning and the woman was very nice and took all the information down and said she will pass it along. I really hope that they get it figured out and get the gluten out of their “gluten free cherrios”. I wish I had found this site earlier. I would have stayed far away from Cherrios! I was skeptical at first, but another family member with severe gluten intolerance bought a box when they first came out and she did fine and has been lucky with all of her boxes so far…fast forward to yesterday morning when I finally decided to give Cherrios a try. I am paying for it now! Ironically, the lot for my box is not on the recall list that was posted yesterday afternoon. If I’d seen the recall notice sooner, I would never have opened that box. I’ll be contacting the company tomorrow and be even more cautious of GM products from now on especially after learning about their process. Thank you for all your hard work Tricia! I had believed that General Mills was going to test individual boxes of Cheerios for gluten. There is an article in today’s Minneapolis Star Tribune stating that the recall occurred because General Mills tested the sorted grains and the flour made from the grain but never actually checked the finished boxes of cereal. Supposedly they are now going to add a test of the finished product. Today, when I called General Mills customer service and asked why their testing had not picked up the contamination, after forcing the issue, I was told that they “forgot” to test the finished boxes of Cheerios. I saw many online comments last summer about people getting sick from Honey Nut Cheerios. I’m not sure when General Mills knew about the problem but they didn’t issue the recall until October. The customer service rep said that it took them several months to do an “investigation”. This whole situation is appalling. I love Cheerios but I don’t think they are trustworthy so I probably won’t try them again. I have gluten ataxia and tried a bowl of Cheerios last night. I felt it within 15 minutes and am still feeling the effects. There is definitely gluten in there. Sad news. They did taste great! Holly, Please contact both FDA’s MedWatch 800-332-1088 (Choose option #4 to speak with a representative) and your physician. I hope you are feeling better soon. Sadly, I’m a victim of so called gluten free cheerios. Second box I bought has put me on my back, out of commission. I’m a celiac, as I’m sure many of you are, so I won’t list all the symptoms, I’ll just say it’s most of them. Profits over people every time with these companies. Should have came here first and got the real scoop on this so called gluten free cereal. Buyer beware. Steve, Sorry to hear that you have been sick. Please contact FDA’s MedWatch. I keep repeating this but it is very important (800-332-1088, choose option #4 to speak with a representative). Tricia, thank you for the response. I have already been in contact with the FDA and have sent them all the necessary information. I also contacted General mills and they took my information and assured me someone would be following up with me – still waiting. Certified Gluten free is what I live by, except for this one time… Yep, I paid the price. I’m in Canada but I’ve been following these developments with so-called GF Cheerios and their recall in recent weeks and months. I was at a local grocer recently and saw that (for at least the yellow box version) they are now being sold here as GF. This must be a fairly recent introduction since the store’s shelf space for this product contained both non-GF and the purportedly GF versions. Will be interesting to see how things unfold here. I wish I would have looked this up several months ago! I was eating them mostly daily, and having some effects, but blaming them on other things. Cut to last month when I was diagnosed with Graves’ Disease hyperthyroidism and my Celiac bloodwork came back positive for the first time since diagnosed in 2009. Strangely my body seems to be mending itself without medicine now that I’m not eating them (it was the only new thing I introduced into my diet). I don’t have any of the boxes left, can I still report it? I am sorry to hear this Katie. Yes, please contact FDA’s MedWatch even though you do not have the boxes. Thanks for the post, Tricia. My son has Celiac Disease. We were so happy to see that the cereals had gone GF, that we went out and purchased a box of each. We quickly found out that the cereals caused my son to exhibit the painful symptoms that are brought on from consuming gluten. I wish we would have seen your post first. Hi Devon. I am so sorry your son was sick. If you haven’t already, please contact FDA’s MedWatch at 800-332-1088 (Choose option #4 to speak with a representative). This is very important to do because it is the only way for FDA to know that Cheerios may still be causing illness. Please also contact your son’s physician. My son and I have had honey nut Cheerios on and off (maybe 6times) since July and have had experiences of contamination, but we’ve been denying that it could’ve come from Cheerios. After reading these posts, we’re certain of it now. We never go off our GF diets and are extremely careful. We’ve been GF since 2012. I’ve been gluten free since I was diagnosed with Celiac some 12 years ago, so there are certainly things I miss and I’m always glad when something I once cherished becomes gluten free. So naturally I was thrilled when Cheerios went gluten free. I bought it, got sick, and added my name to the FDA list of those who had a bad reaction to it. I was gratified when they recalled Cheerios and and said they’d fix the problem, but I was leery of giving them another try, and I’m glad “Gluten Free Watchdog” keeps an eye on stuff like this for us. In this case, I totally agree with their recommendation to *not* eat Cheerios if you are Celiac. Yes, they have gotten better since the first incident (when I had a bad reaction). But since they have “fixed” their problems, I’ve tried Cheerios/Honey Nut Cheerios twice now, and both times I had “minor” reactions. Yes, they were “minor”, but they were still unpleasant gluten reactions and in my opinion there is no way I think General Mills should be calling their product “gluten free”. Hi Sam, Thank you so much for commenting. I am sorry to hear that you were sick. Please let FDA and General Mills know that you continue to have reactions to the gluten-free Cheerios. It remains the recommendation of Gluten Free Watchdog that individuals with celiac disease and non celiac gluten sensitivity not eat “gluten-free” Cheerios. I wish I had read your report of how GM test for gluten before I bought several boxes of “gluten-free” (NOT!) Cheerios. I thought it was the Cheerios that made me sick, now I know that it was. I will definitely be calling the FDA with my report. When their offices reopen; we’re in the midst of a blizzard of historic proportions. Thanks for all your work in working with GM and explaining their testing process. I too think they should be required to locate the source of the gluten when they pull a box that tests over 20 parts gluten. I was recently diagnosed with celiac and am trying to find my way. After a few days of being gluten free, I started to feel better. Last Monday I developed a rash and my lower lip is swollen. Tonight, I figured out why! It’s because of the Apple cinnamon Cheerios that I’ve been eating. Right after I ate them tonight, my lip swelled and I felt a little bit of pain in my stomach and some bloating. I immediately went on line and found out that I wasn’t the only one experiences symptoms. I will cut out the cheerios immediately and will be calling the FDA in a few days. Thanks to everyone for posting; it truly helps. Hi Marcie, Please also contact your physician especially if this was the first time eating oats since being diagnosed with celiac disease. It also is very important to contact FDA’s MedWatch. Please keep your box of Cheerios so that you can provide the lot number, etc. to FDA. Thank you for this article. I am in Canada … So excited to see gf Cheerios. I know they was a problem last year … But thought they had fixed it. My celiac son and I ate less than a handful today (each) … I was Leary …. But thought we’d try a bit. We both are ‘glutened’ … I’ve been sicker with gluten … But headache – nausea – bloated stomach – pains so bad I can hardly stand. Defiantly glad not worse. This is my sons first ‘gluten’ experience. I do not understand how it can be labeled GF? We should be able to trust this. When cheerios had their recall last year, I had been eating it for about a week. I was so sick, but never thought it could be that because it says GF. I didn’t eat it for a few weeks then ate it one day and sick was back. I just retried it again (I know stupid) one day last week and was so sick. I realized the oats are not GF. I eat Bob Red Mill’s fine. That’s when I started reading about the procedures and found you. Do we have any recourse? Class action law suit? This can kill us with CD. I feel like they don’t care. They just want to get it to the market. If it’s not safe for Celiac’s, how can they put GF? You can contact MedWatch online at https://www.accessdata.fda.gov/scripts/medwatch/index.cfm?action=reporting.homeor via phone (800) 332-1088. Choose option #4 to speak to a representative. 1st Box of Gluten Free marked Frosted Cheerios…no problems and tasted great. 2nd box of Gluten Free marked Honey Nut Cheerios and I sicker than heck. This is ridiculous! They should not be able to advertise as Gluten Free if you have to play Russian Roulette every time! Christie, Sorry to hear you have been sick. Please contact FDA’s MedWatch at 1-800-332-1088. Choose option #4 to speak with a representative. i am kind of with everyone else on this. not sure how you can guarantee gluten free every time. I ate the regular Cheerios in January and was so happy because I had grown up on Cheerios. This box tasted just like I remembered and I was shocked that they were gluten free. Then I got sick. I threw the rest away. So disappointed and this box was not part of recall. I decided to try again a few weeks later. I bought regular but they tasted way different than first box. Bland and boring. Nothing like the first box. I didn’t have a reaction to this box so I thought maybe the first box had slipped through the recall or something. Then recently I bought a few Honey Nut boxes on sale and with the first try I got sick. What a waste of money. Never had this trouble with gluten free oats or other brands of gf cereals. So dissappointing. I feel duped. I had the Honey Nut and I was ok for a few days then I got sick. I got it from Aldi so I thought maybe it was one of the recalled ones. I get the apple cinnamon the other day and I am sick again. DO NOT EAT THE CHEERIOS! If you believe you became ill after eating Cheerios, FDA is asking that you contact FDA’s MEDWATCH, the Adverse Event Reporting System. You can do this online https://www.accessdata.fda.gov/scripts/medwatch/index.cfm?action=reporting.home or via phone (800) 332-1088. Choose option #4 to speak to a representative. I also was so so excited to see the GF cheerios…it’s a quick easy snack with low sugar. I’ve now eaten a whole box of them this week. I’ve had a lot of “tummy” issues…but I couldn’t figure out why since I’ve only eaten stuff at home and haven’t eaten out anywhere. So was wondering how I could of been poisoned!! So sad…now that I read this, at least I know what caused the issue! I’ve just been diagnosed with Celiac a few months ago, so I have been trusting BOXES and it’s sad that I am not able to do that. They should have some regulations!! Though the US needs regulations on all the food that anyone eats…and that doesn’t happen, so no surprise. Thank you for working hard on researching this for everyone!! When going back to school this year, I started packing a snack of Cheerios every day for my 4 year old son who has Celiac. He started having GI issues (his reaction to gluten is severe constipation). I spent the next 2 weeks trying to figure out what was making him sick. After speaking to his doctor at Children’s Hospital in Boston, I learned that their group is suggesting that Celiacs avoid Cheerios. Now, nearly a month later, my son is still struggling to recover from his exposure to gluten via Cheerios. I appreciate the advice above to contact the FDA and I will do that. I also wonder, is a class action lawsuit against General Mills an option? Hasn’t General Mills knowingly misrepresented their product and caused bodily harm to many Celiacs? What’s more, aren’t they continuing to do so by labeling their products GF? Please contact FDA as it is so important to continue recording negative reactions to Cheerios. My best to your son. I hope he is doing better soon. I just ate “gluten free” Cheerios and I’m having a severe reaction. 11 hours of diarrhea and counting. This is what happens to me when I eat something with gluten in it. I had two bowls on Saturday afternoon, 2 more st 4:30 pm and three bowls at 2am. It hit me hard at 5am and I’m hoping it stops because I have to go to work in an hour and half. I will be contacting the FDA and also returning my cereal to Publix. Hi Darlene, Are you feeling better? Please also contact General Mills. It is important for them to know that this cereal is still causing illness. Any update on the cheerios or should celiacs avoid cheerios? They latest information on Cheerios is available at https://www.glutenfreewatchdog.org/news/gluten-free-oats-video-handout-fnce-digid-breakfast-2016/ Last I checked with General Mills, they had not changed their testing protocol for Cheerios. Another email was sent today. Just heard back from General Mills. There are no updates to the testing protocol. Thanks Tricia–sorry, I missed your blog post yesterday. Frankly, that reply from General Mills is terribly lacking, and begs a number of questions. Thank you for continuing to pursue the matter with them on our (celiacs’) behalf. providers of mechanically and optically sorted oats….